What do you need to keep your body strong? 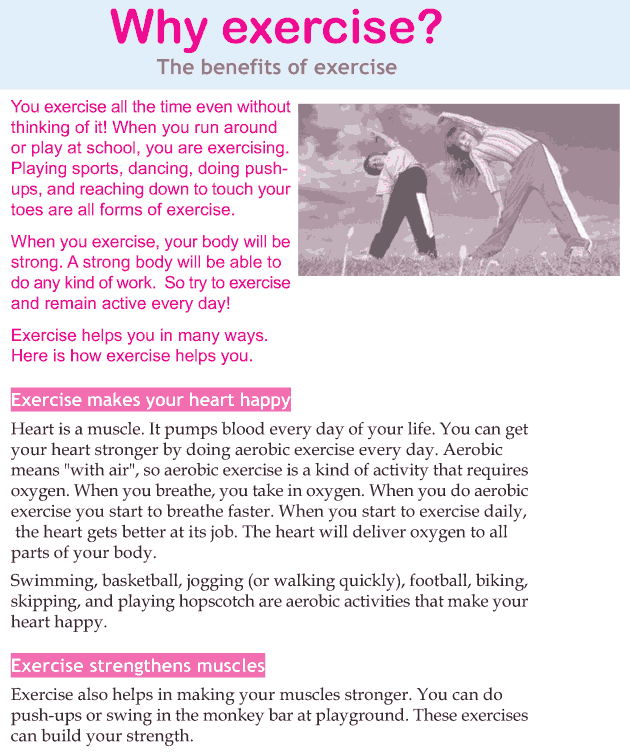 The lesson is about the ways in which exercise keeps you active and be able to do any type of work. It shows how exercise keeps your heart happy, how it strengthens muscles, makes you flexible, keeps the balance and makes you feel good within and outside.